This no-glue (no adhesive) window film by the electrostatic to stickers on the glass,it is easy to stick on and tear down. High quality PET material, color uniformity, the surface is very smooth, do not fade, electrostatic adsorption, transparent back film. VLT%: 20% VLT. 1 Car Window Film. Notes: The real color of the item may be slightly different from the pictures shown on website caused by many factors such as brightness of your monitor and light brightness. 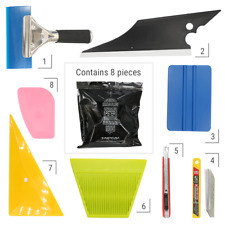 The installation instructions included with this kit must be explicitly followed to avoid damaging the precut tint pattern. Not following the instructions will result in the precut tint pattern tearing, creasing, bubbling, peeling, and/or scratching. 1 x 4 "3M felt scraper. 1 x pink mini lil chizler scraper. 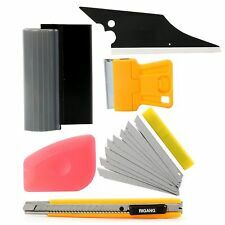 1 x Mini scraper with two-edge plastic blade. 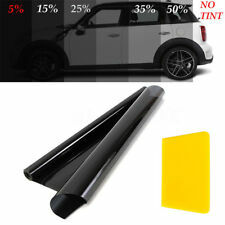 10in1Window Tint Tools Car Wrapping Application Kit Sticker Vinyl Sheet Squeegee. 1 x water squeegee with rubber blade. Universal PreCut Sun Strip Window Tint. Universal Pre-cut Curved Sun Strip window tint. This precut sun visor 5% tint will fit on any vehicles. Curved shape sun strip will give you better vision than straight cut sun strip. 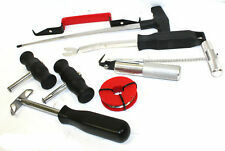 This set is great for installing automotive window tint, paint protection films and solar film applications. They can effectively remove the air bubbles produced during the film pasting, improve the efficiency and quality of film. 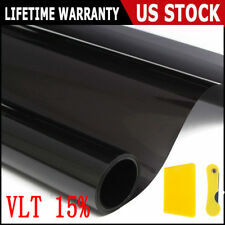 20% Dark Black Smoke Window Tinting Film Tints Kit for Car Kitcar SUV 75 cm 3m. 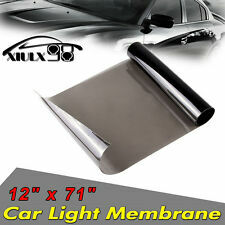 WINDOW TINT FILM KIT.20%. Peel film apart from backing on inside of window. Use two pieces of transparent tape to separate film from liner. 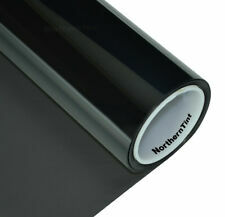 Included: 1 X Window Tinting Film Roll. 1 X Scraper. - Execute better film on the glass. 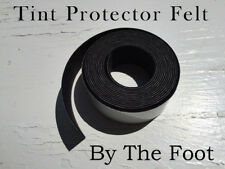 Remove protective film from tint - stick tape on both sides of corner and pull. - Apply tint with sticky side to the window using water. Precut Front Doors Any Tint Shade! We work hard to get your tint to you fast! Each kit is custom cut for you! Pre Cut Window Tint. We have the most extensive tint shade selection on the planet! This Kit Includes Precision Cut Tint For The Front Two Doors. Precut Tint for Every Window in70 % Very Light. Professional Grade Pre Cut Window Tint Kits. 70% Light Tint Shade. Pre Cut Window Tint. In the event of a accident window tint holds shattered glass and protects the occupants. VLT%: 5% VLT. What is VLT?. VLT% stand for “Visible Light Transmission”. 20% VLT: Dark, Factory tint Style. 05% VLT: Super Dark, Limo Style. 35% VLT: Moderate. 50% VLT: Low. It also gives our films a stylish look with outstanding color stability, and provides high heat rejection with no signal interference! COMPLETE PRECUT WINDOW FILM. Professional Grade Pre Cut Window Tint for all side and rear windows for 4DR Sedan Cars. If you need a lighter tint shade on the front door windows or need a different tint shade combination. PreCut Window Tint Automotive Film. • Precut ONE Piece Back Glass. Precision Cut Tint For Every Window. We have the most extensive tint shade selection on the planet! In the event of a accident window tint holds. PreCut Tint Window Automotive Film. 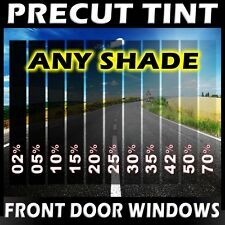 Precut tint for all windows on 2 door Coupes or Hatchs. • Any Vent or Wing Windows PreCut. • Precut ONE Piece Back Glass. Precision Cut Tint For Every Window. We have the most extensive tint shade selection on the planet! • Any Vent or Wing Windows PreCut. • Precut ONE Piece Back Glass. Professional Grade Pre Cut Window Tint Kits. -No Cutting required! Pre Cut Window Tint. This Kit Includes Precision Cut Tint For Every Window. 1x Window Tint Films. Window Film. Printing Film. Architectural Film. Reflective Film. Paint Protection Film. After paste, the film should be standing about 7 hours under the condition. Automotive Vinyl Wrap Film. Pre Cut Window Tint This Kit Includes Precision Cut Tint For The Front Two Doors. -No Cutting required! -Our Tint Kits are Actually Cut all the way through -Not Just Scored! The Tint Shade(s) Desired. 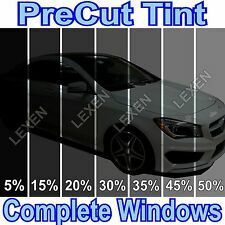 Precut Tint for Every Window in5 % Limo Black. Professional Grade Pre Cut Window Tint Kits. Pre-Cut Window Tint. In the event of a accident window tint holds shattered glass and protects the occupants. • Precut ONE Piece Back Glass. 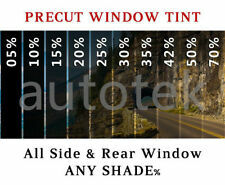 Professional Grade Pre Cut Window Tint Kits. -No Cutting required! Pre Cut Window Tint. This Kit Includes Precision Cut Tint For Every Window. In the event of a accident window tint holds shattered glass and protects the occupants. COMPLETE PRECUT WINDOW FILM. Professional Grade Pre Cut Window Tint for all side and rear windows for SUV & Vans. If you need a lighter tint shade on the front door windows or need a different tint shade combination. ROLL OF WINDOW TINT. SCRATCH RESISTANT COATING. 35% BLACK/CHARCOAL. 40" X 100 FT.
What is VLT?. VLT% stand for “Visible Light Transmission”. 05% VLT: Super Dark, Limo Style. 20% VLT: Dark, Factory tint Style. 35% VLT: Moderate. 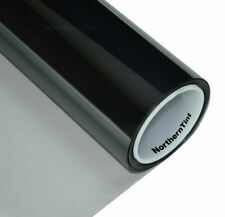 Product Series: Professional Uncut Tint Roll. 50% VLT: Low. 3M Precut Window Film CS Series. VLT%: 15% VLT. What is VLT?. 20% VLT: Dark, Factory tint Style. VLT% stand for ?. Visible Light Transmission?. 05% VLT: Super Dark, Limo Style. 35% VLT: Moderate. 50% VLT: Low. • Precut ONE Piece Back Glass. Professional Grade Pre Cut Window Tint Kits. -No Cutting required! This Kit Includes Precision Cut Tint For Every Window. Pre Cut Window Tint. Harmful UV rays and heat cause car upholstery to crack and fade.